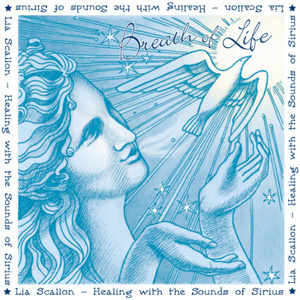 Powerful, mystical chants that offer a healing balm for the spirit. 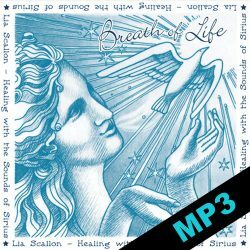 The unique and powerful chants of ‘Breath of Life’ effect us on many levels of our being. Amongst its many gifts, this music may help us to deal with all forms of grief and loss. In a very gentle and loving way, it can help us to change our perspective on the death process, including moving through the ‘death’ of outmoded belief systems. With the increase in natural disasters, we find ourselves confronted with the fragility of this earthly existence, as many souls exit the planet en masse. ‘Breath of Life’ has been gifted to help dissolve our anxiety and fear about dying. We are offered a glimpse of what awaits us – the limitlessness of Spirit, which is our true home, and we stand awestruck by its magnitude, its beauty and its love. Whilst particularly poignant for those consciously preparing to leave this earthly existence soon, and the loved ones who travel that journey with them, ‘Breath of Life’ will also bring great comfort to those who still grieve over the loss of someone dear. This is a profoundly relaxing and nurturing CD. For many people the ancient chants purely provide a healing balm for the soul and sweet respite from the frantic activity of our modern world. 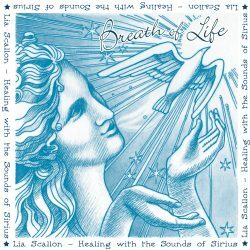 As with all of Lia Scallon’s ‘Sounds of Sirius’ albums, each note and word seem imbued with the energy of pure Love. For whatever reason you may be drawn to this unique recording, you will find yourself drawn deeply and profoundly, into the depths of your own soul’s wisdom.